2000 Billy Graham with Crusade prayer group. Inspired by witnessing the racial, cultural and denominational walls changing as the new millennia began, spiritual leaders of our city prayed to make the unity of Christ (John 17:21) visible in our city and five county area. The Operation Andrew Group (OAG) was founded to create connections among people, while removing barriers within our faith communities. In the early years, The Gathering was a city-wide worship service for all churches to come together on one Sunday evening a year, held at the Gaylord (now Bridgestone) Arena. Local congregations suspended their Sunday evening activities. Thousands of believers gathered to hear a message from Nashville's Bishop Michael Graves. In following years, Ravi Zacharias and Tony Evans were special guest speakers. Prayer was emphasized. Monthly prayer meetings for board members and volunteer leaders were initiated. Annual Prayer Summits for ministry leaders focusing on city-wide revival were begun. Public prayer was also encouraged through a downtown observance of the National Day of Prayer, co-hosted with the YMCA of Middle Tennessee. Dr. Charles McGowan, Senior Pastor of Christ Presbyterian Church, became OAG’s first president. Under McGowan's leadership The Gathering concept spread, encouraging collaboration between congregations across the city. Pastors and ministry leaders were encouraged to connect for trainings, fellowship, joint praise and worship services, and enjoy an Honor Banquet for ministers and spouses. The Annual Joe & Honey Rodgers Award Celebration, recognizing outstanding Christian Civic Leaders in Nashville, was begun in memory of Ambassador Joe Rodgers, a driving force in founding OAG . Mike Arrington, Vice President of LifeWay, served as the second President. Arrington guided OAG’s city-wide strategy to meet the needs of Nashville’s growing population. OAG recommended providing Metro Nashville Public Schools with an increase of volunteers. Standing together in grace and mercy as the Church in Nashville was the vision. UNITED4HOPE was launched to build collaborative community partnerships. 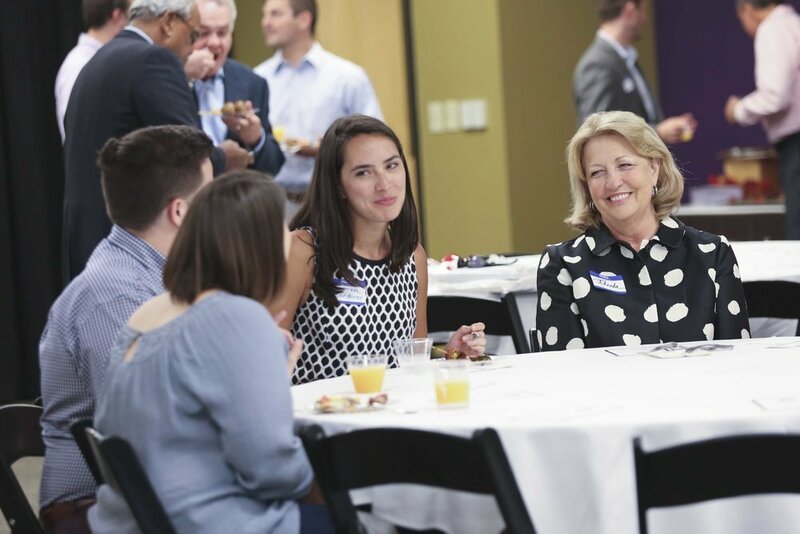 Arrington also launched the Christian Business Leaders Network (CBLN) to pair experienced business leaders with young professionals. SERVING CHURCHES SO THAT TOGETHER THEY CAN SERVE OUR CITY.